NASHVILLE, Tenn. (Apr. 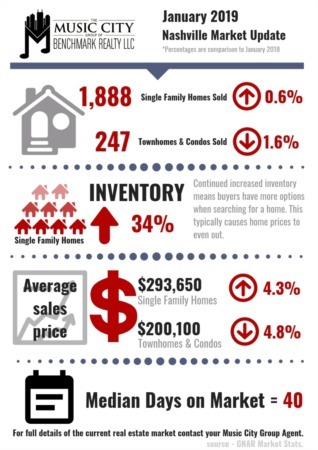 8, 2019) – There were 3,237 home closings reported for the month of March, according to figures provided by Greater Nashville REALTORS®. This figure is down 6 percentfrom the 3,446. 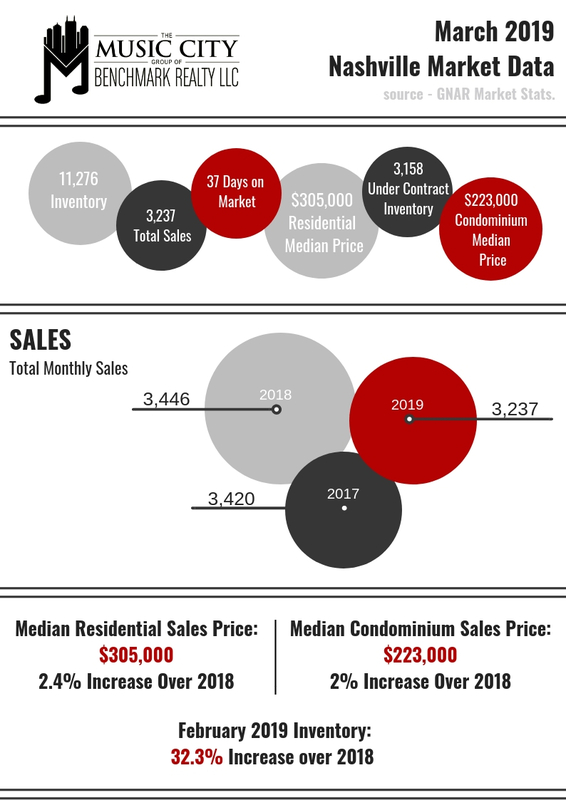 The median price for a residential single-family home was $305,000 and for a condominium, it was$223,000. This compares with last year’s median residential and condominium prices of $297,915 and $218,600 respectively. April is recognized nationally as Fair Housing Month. Realtors are long-standing proponents of equal opportunity in housing and will continue working to ensure quality housing is available for all,” added Terrell.